S.A.G.E. 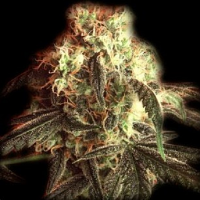 CBD Feminized Cannabis Seeds by T.H. 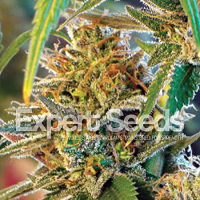 Seeds: This is a real Sativa/Indica balanced plant with big fat leaf structure. Do not give it more than 3 weeks in veg or use cropping because the stretch is important. 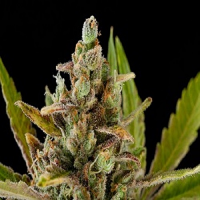 The flowering time is between 8 to 9 weeks, yields: 450 to 500g/m2. She makes great dense flowers and is a big resin producer. The flavor is fresh and smooth with that unique S.A.G.E. ® flavor. Good for soil, hydro, aero, coco, but best in organic - this is medicine after all. 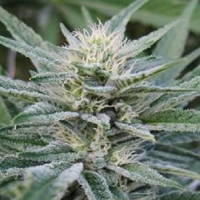 For the test we used only organic soil and organic fertilizer for the first three weeks in flower, and then we stopped and only gave water to see the genetics true potency. We started with 1L pots for 2 weeks and transplanted to a 3,5L for the flowering stage. 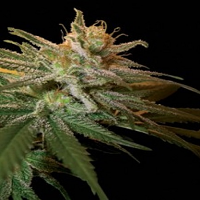 It produced between 35 and 55 gr per plant. 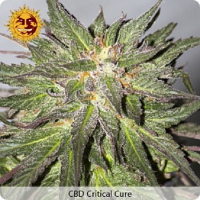 ​For anxiety, depression, spasms, and paediatric seizure disorders, many patients initially find they do best with a moderate dose of a CBD-dominant remedy (a CBD/THC ratio of more than 10:1). 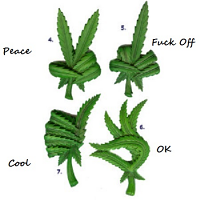 But a low THC remedy, while not intoxicating, is not necessarily the best therapeutic option. A combination of CBD and THC will likely have a greater therapeutic effect for a wider range of conditions than CBD or THC alone. For cancer, neurological disease, and many other ailments, patients may benefit from a balanced ratio of CBD and THC. Extensive clinical research has shown that a 1:1 CBD/THC ratio is effective for neuropathic pain.